Te Ara Roa is a special New Zealand experience. 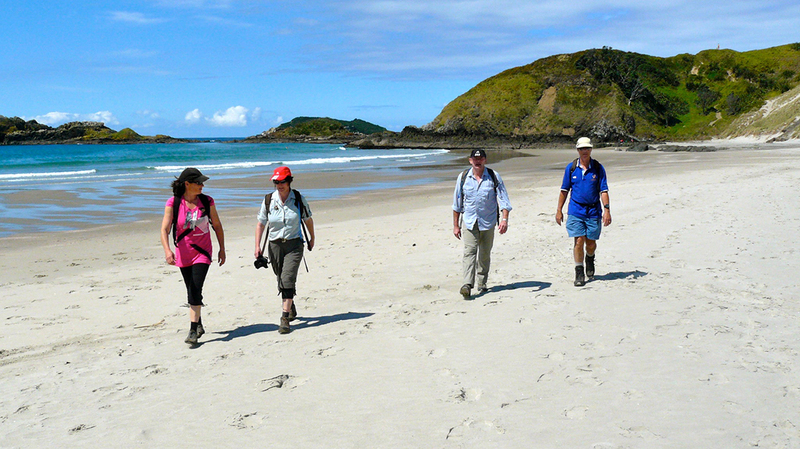 The Whangarei Heads section of the trail a spectacular coastal hike through farmland, native forest and along stunning white sandy beaches. Te Araroa – stretches 3000km from Cape Reinga in the Far North to Stirling Pt near Bluff in the deep south. The track passes through Whangarei Heads from Pataua South, over Kauri Mountain and along Kauri Mt Beach before leading through the Bream Head Scenic reserve, around the Reotahi coastal walkway, and finishing at the jetty at the southern end of McLeod Bay. You can choose to walk part of this track and there are several easily accessed locations that offer good car parking and access. This beautiful part of Northland is full of lush native forest and white sand beaches. This route takes you through small settlements, forests and some road connections as it loosely follows the eastern coast of Northland. 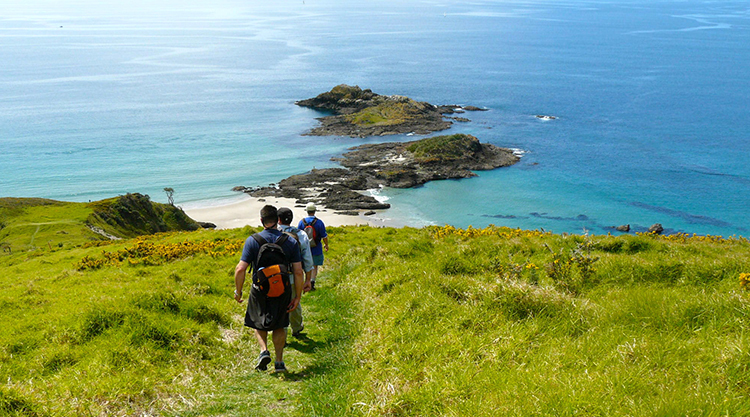 The most challenging part of this section is most certainly the steep slopes of the Te Whara track at Whangarei Heads. You’ll see uncompromised nature with ancient kauri trees, beautiful native birds, large open Pacific Ocean surf beaches and rocky bays. For more information please view teararoa.org.nz/northland. For drop off and pick up from the accommodation we highly recommend you contact our local Traildrop service. time and length depending on which section you choose. Scenic walk with beautiful beaches and fantastic tracks. Don’t forget your camera!